Tucked away deep inside a maximum-security storage facility in Hollywood, the contents of Prince’s storied vault are being pored over daily in one of the most laborious research jobs in modern pop culture. 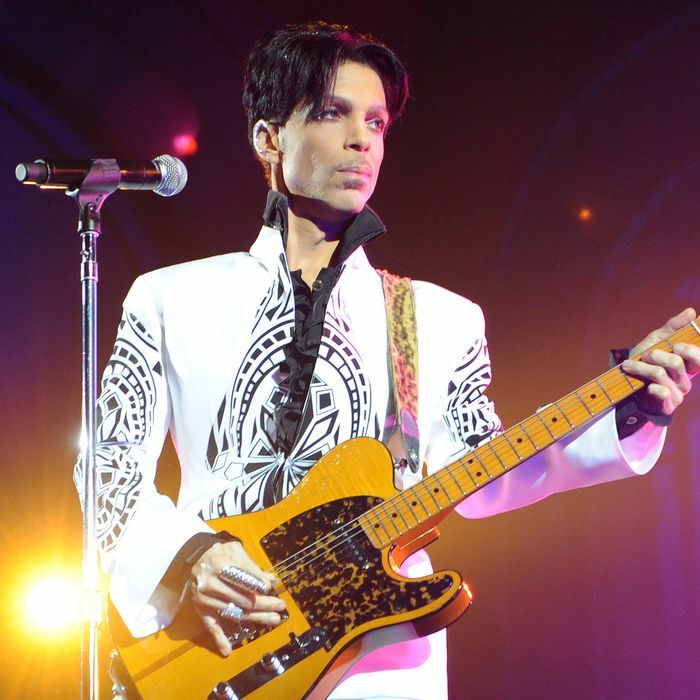 Following his death in 2016, Prince’s fabled vault at Paisley Park was opened, and all of its secrets — reportedly “thousands and thousands” of unreleased recordings — moved to Iron Mountain, a data recovery center in Los Angeles, for safekeeping and to begin the work of figuring out what music, exactly, Prince had saved. At the helm of it all is one man: Michael Howe, a former record-label executive and Prince colleague who last year volunteered to oversee the excavation and preservation of Prince’s life work at the request of Prince’s estate, run by his heirs (the six siblings), the bank entrusted as its executor, and Troy Carter, the Spotify exec who also works as the estate’s entertainment adviser. Together, but mostly at Howe’s sole recommendation, they are working to catalog Prince’s archives so that some of it might eventually be released. This week, the estate releases Piano & a Microphone, one of Howe’s many findings that dates back to 1983. It features Prince singing alone at his piano — as he did on his final tour — covering Joni Mitchell and performing “Purple Rain.” Vulture spoke with Howe over the phone about working in total secrecy, protecting Prince’s wishes, and just how much music there is in the vault. For people unfamiliar with your job, can you explain what your role as Prince’s archivist actually means? I’m the guy who is responsible for the organization and preservation of the audiovisual materials in Prince’s vault. Basically, the entire contents of his recorded output, both released and unreleased. When did you get brought on? Well, I worked with Prince when he was alive, when I worked as an A&R at Warner Bros. records. So I was in his orbit [when] he passed away and stayed involved during the process in the aftermath of his passing when the estate was trying to figure out a lot of things with respect to the heirs. I was observing from the periphery at that point but in contact with that team of people pretty regularly. So when the need arose last October to have somebody doing what I’m doing I put my hand up very happily. Did you get to see the original vault at Paisley before coming onboard? No I hadn’t. I had been in and out of Paisley Park many times but never in the vault itself. I never saw it, nor did I ask — not that I would’ve been granted access to it at the time, anyway — but it was not something I thought was either appropriate or within the scope of what I was doing with him at the time to even bring it up. When people hear the word vault, it sounds mythic. Almost like a safe at a bank packed with cash and gold bars. But what does the facility where the vault has been transferred to now actually look like? I understand a lot of it has been digitized. It’s in the process of being digitized — there’s a tremendous amount of stuff. I should issue the caveat that I’ve had to sign an NDA, so I can’t be specific about a lot of things. But the vault, as we’re talking about, is in a really secure facility in Hollywood that houses a lot of other valuable entertainment assets from films, other recorded music masters, memorabilia, etc. It’s a climate-controlled, very secure, natural-disaster–retrofitted fortress in Hollywood. And the room itself where all of the audiovisual stuff and some of the other materials is stored is relatively nondescript. It’s a very unsexy environment, a utilitarian sort of space that has everything basically on unpenetrable shelves. It’s mostly analog tapes that take up a lot more space. What’s your day-to-day like trying to catalog all this stuff? Has this become a full-time, everyday job? It’s such an enormous volume of materials and hasn’t historically been organized in any conventional way. I sort of look at the job as if I were sitting in the MoMA or the Louvre or some other institution with priceless paintings and trying to make sense of who was involved, what the chronology was, and trying to draw a through-line. The easiest way to do that is chronologically. What we’ve been doing is looking at the entire body of work and attempting to start as far back as we can, both because it presents an easier path forward and, largely, so those artifacts that have the most chance of being damaged we can get to quicker. It betters the chances of full preservation. We’ve been lucky that almost everything we’ve come across has been in remarkably good shape. The path hasn’t been completely chronological because there are commercial considerations that enter the frame and require us to pivot and accommodate them. But the guiding principal is to do it with as much completeness, respect, and integrity possible. We hope to do it right the first time and never have to touch the physical assets again. And I talk to Troy [Carter] over email probably every day. I don’t have a lot of interaction with the family, but I attend some of what they call the heirs’ meetings every couple of weeks. But I communicate mostly with Comerica Bank, who are the custodians of the estate; Troy; the lawyers; and Iron Mountain, where the facility is. I work five days a week, eight hours a day. What’s the earliest item you’ve found? There are things that predate Prince’s first recording agreement with Warner Bros., which was signed in late 1977. There are things of all eras through his creative evolution. It’s pretty remarkable and humbling. He was so titanically creative and wildly prolific that it’s a little bit difficult sometimes to draw the line where one era ends and another begins. Is he the most prolific artist you’ve ever worked with in this capacity? By orders of magnitude, yes. When you come across a tape like Piano & a Microphone, what’s the process for verifying it’s from 1983? There are a couple ways we determine it. A lot of the things in the vault have very specific notes or distinguishing characteristics that date them within a couple of months. Or we can identify Prince’s writing, the engineer’s writing, or the kind of tape stock that was used. There are a many number of ways to narrow things down if we’re unsure. Also the material that’s being performed and the creative state that’s in, in some cases, gives us a pretty good idea about things that are less clearly marked. In the case of Piano & a Mic, this recording has floated around in the bootleg and collector community for a number of years, albeit in a very substandard audio quality. I was aware of it and found the performance so captivating. So one of the first things I attempted to do when taking the job was to see if we could locate the master recording, which I assumed was on cassette because of the era and sonic characteristics of it. So we did a bit of detective work and were able to narrow a wide pool of candidates. We spotted this one that had Prince’s handwriting on the label on side B and it said “Cold Coffee & Cocaine” and “Why the Butterflies,” which are the final two songs of the recordings. We were pretty sure we had it. Once we analyzed it, inserted it into the machine, and digitized it, we were fortunately correct. In those moments when you go to play the recording, does your heart ever skip a beat? The tapes could corrupt and the music’s gone forever. It hasn’t happened that often, but I’ve had tapes that have been damaged or needed to be baked. There’s a phenomenon of magnetic particles shedding on some kinds of analog tapes that makes it difficult or impossible to play them back without further damaging them. They have to be physically baked in a convection oven to reattach the magnetic particles. It’s a bizarre concept, but it works. We’ve had to do that on multiple occasions, but there’s never been a time yet that we’ve come across something that we’ve been salivating to hear that’s been irretrievably damaged. Prince’s personal wishes for how all this music should be commercialized is a big concern to his fans. When you find something like Piano & a Mic, where it’s an already completed nine-song tape vs. you all cherry-picking songs for a compilation, does that signal to you that this is maybe something Prince would’ve eventually put out himself when the time is right? That’s a $64 million question because we don’t know with certainty what Prince would’ve contemplated releasing at some point. It certainly was not in his line of sight at the time, otherwise it would’ve come out. He had pretty strong ideas about what was suitable for release and what wasn’t, but there were times, and I’m paraphrasing, that he said, “All these recordings in the vault at some point would see the light of day after I’m gone.” It represented the notion that a portion of these things would become available. When we are thinking about what might be appropriate for release, the first question is: Is this of the caliber that Prince would’ve deemed suitable for a theoretical release? Are we doing his legacy justice by putting this out there? Without exception, that’s the most important thing and we have to use our best judgement. That’s why I assume they chose a Prince historian, so to speak, and someone who knew him to have the first pass on all this. Part of my role is to advise the estate on what I think would be an interesting release. I think about what fans might like, not just the superfans but people who are relatively new to Prince and might know him only from his biggest hits or his name. And you would never consider putting out unfinished work? Correct. That all gets to stay with the family. There are some things that’ll never emerge. Have you successfully competed cataloguing all the items or is this still a work in progress? I’m very much still finding new things every day. Do you have an estimate for how much music we’re talking about here? Yes, but I can’t convey it. It’s lots. Less than a million or …? What’s something you’ve found that’s been most surprising or exciting to you on a personal level? There are exciting things all the time. I come across things that I never knew existed that perhaps no one else, except for maybe the engineer at the time, knows existed. They were just totally put aside and then never revisited or, for whatever reason, forgotten or moved on from. That’s always thrilling, to hear something that probably only a few people have heard. I can’t talk about anything that hasn’t been released, but certainly when I spotted the two-inch for “Nothing Compares 2 U” that was a great moment. Only because the song is so iconic and became such a hit for Sinead O’Connor, I think a lot of people didn’t even realize Prince wrote the song. To get that in shape, to give people a taste of what he was doing in 1984, on a song that was a pretty substantial part of the cultural fabric at the time, was a pretty satisfying thing to do. I have a lot of those kinds of moments. There’s stuff of every era that fans would find pretty intriguing. Do you have a sense of how recently he was still updating the vault before he died? Right up until his most recent recording, because he was working right up until the time he passed away. There are things in there that are about as close as you can get to the end of his life as possible. I’m fascinated by that meticulous, almost obsessive, consideration for preserving his own history in real time, up until the end. Well, the vault was created in either late ’83 or early ’84 by Susan Rogers, who was his sound engineer at the time. She suggested that he start taking care of and being more mindful of this incredibly rich output. I don’t know what his organization was like prior to that, but Susan was instrumental in establishing a method in a single space. I’ve thought quite a bit about the stuff he didn’t keep. I’m sure he recorded over a whole bunch of cassettes and there were reused tapes and whatnot. But I can say with virtual certainty that it happened [that he deleted some music], so who knows what those were and the real scope of his work. I suppose we never will.